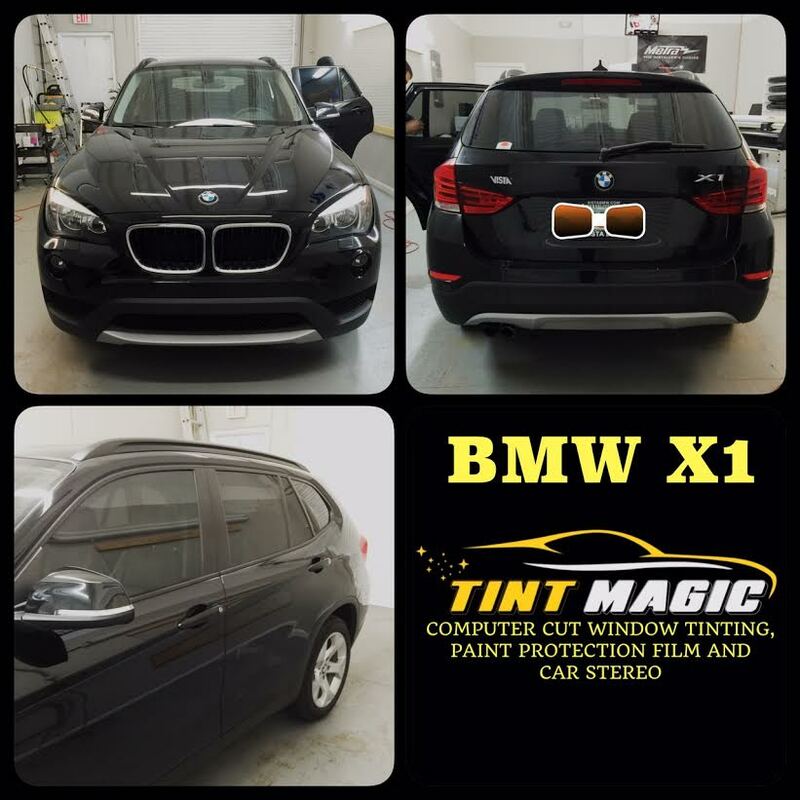 Tint Magic Window Tinting applied 25% Window Film on BMW X1 to macth back window tint form factory. The 25% shades only comes in our Gold and Platinum Window Tint Packages. Think of the X1 as a tall hatchback—rather than a little SUV—with the usual BMW traits: a sporty suspension, precise steering, and a spirited engine. The all-new X1 now offers a roomier interior that is well-appointed and quiet. A turbo 2.0-liter four makes 228 hp and pairs with an eight-speed automatic; all-wheel drive is standard. While this new X1 isn’t as engaging as its predecessor to drive, it should tackle bad weather or muddy roads with aplomb, which is what the majority of buyers want. BMW aficionados are living through tough times. Beyond downsized engines and the heavy focus on the “i” sub-brand, they have to get used to front-wheel-drive vehicle architectures. North America’s first sample is the new X1. It replaces the outgoing, rear-drive-based model, which only just arrived three years ago. The new version—which comes standard with all-wheel drive, although the Euro-market FWD model could eventually reach our shores—shares its platform with the Mini and the 2 series Active-Tourer and Gran-Tourer. Those 2-series people-movers, by the way, won’t come to the United States. BMW of North America has made it clear to headquarters that it has little interest in peddling them here.